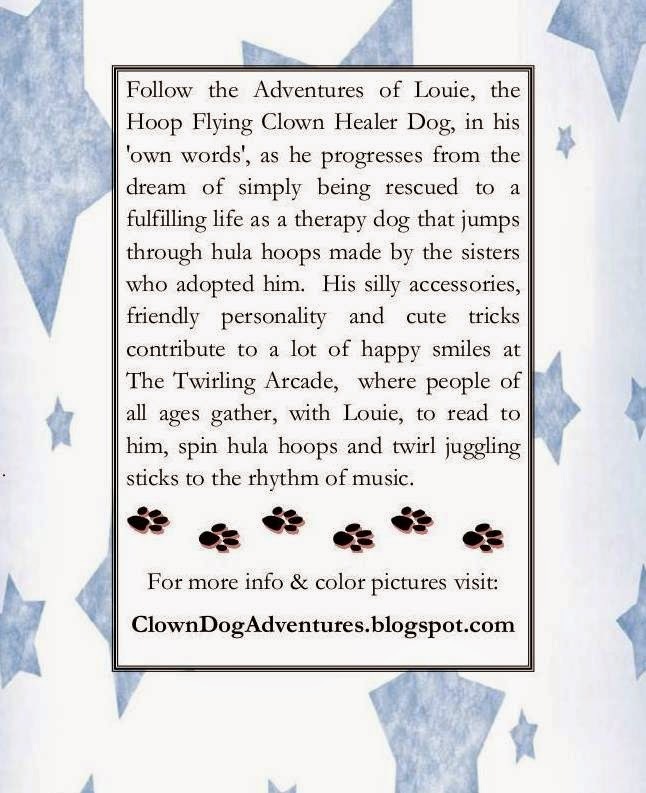 Follow the Adventures of Louie, the Hoop Flying Clown Healer Dog, in his 'own words' as he progresses from the dream of simply being rescued to a fulfilling life as a therapy dog that jumps through hula hoops made by the sisters who adopted him. 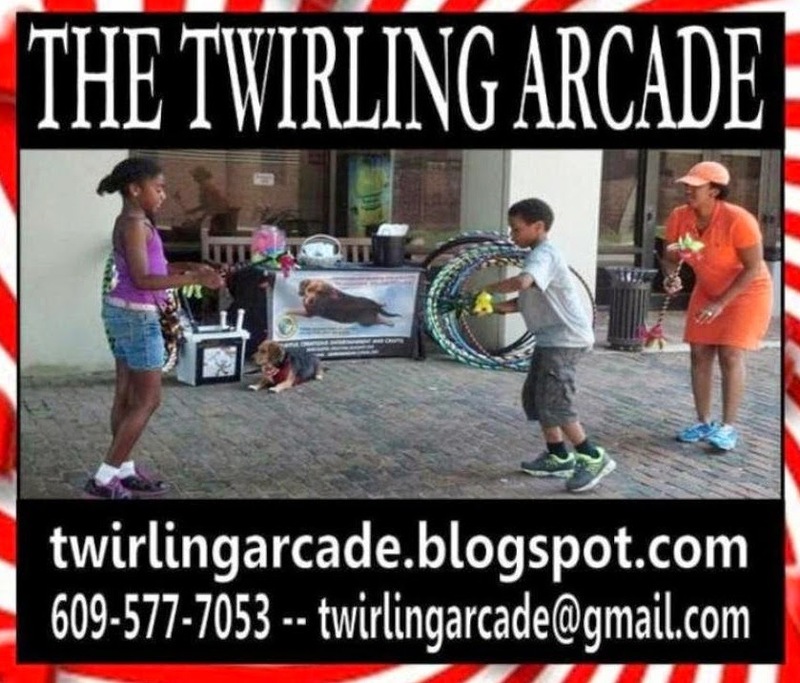 His silly accessories, friendly personality and cute tricks contribute to a lot of happy smiles at The Twirling Arcade where people of all ages gather, with Louie, to read to him, spin hula hoops and twirl juggling sticks to the rhythm of music. 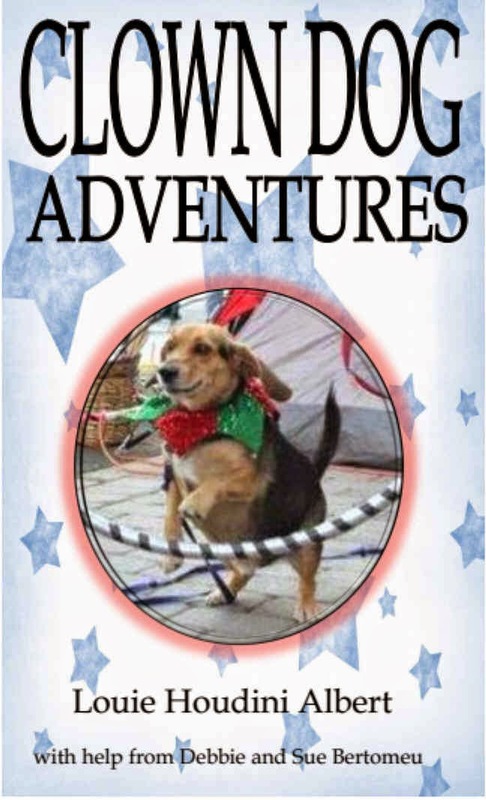 CLICK HERE TO PURCHASE A COPY!! Read along with Sue. Recommend that you view in full screen.